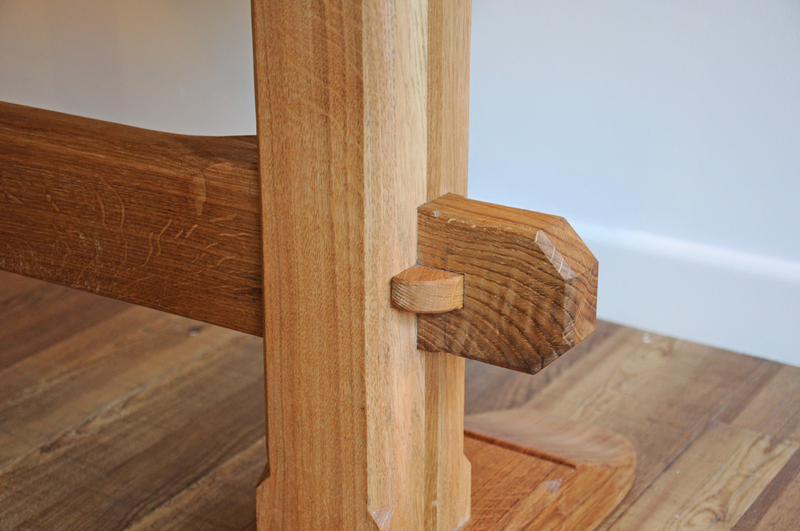 This table has been inspired by a medieval table we have had in our family for some years. 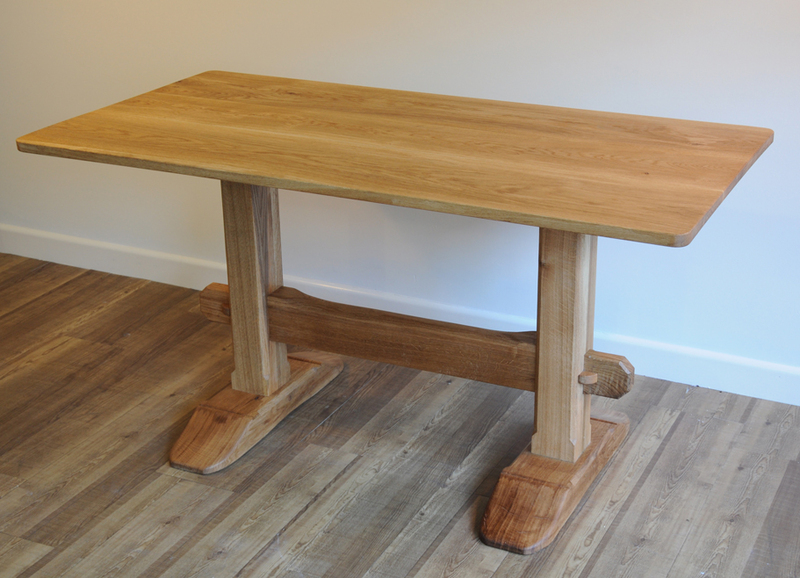 I have always admired the simplicity & proportion of this table & its ability to accommodate 8 sitters with ease , the table being 56 x 26 inches.The pedestal design minimises interference with the sitters legs, although as children we used to rest our feet on the the cross bar as generations had before us resulting in a wonderfully worn top edge! 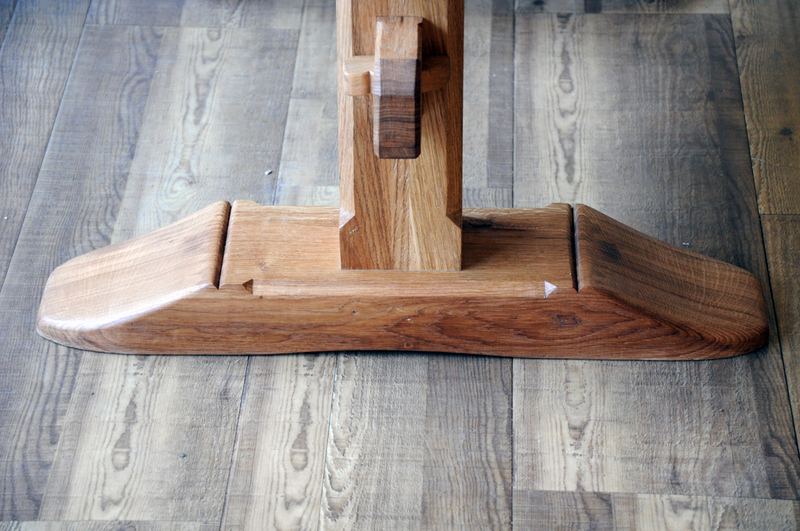 I have tried to interpret the original ( much of the detail is missing in our old table) without resorting to a pastiche ( not trying to imitate the aged black oak of the original) as this is a new table! 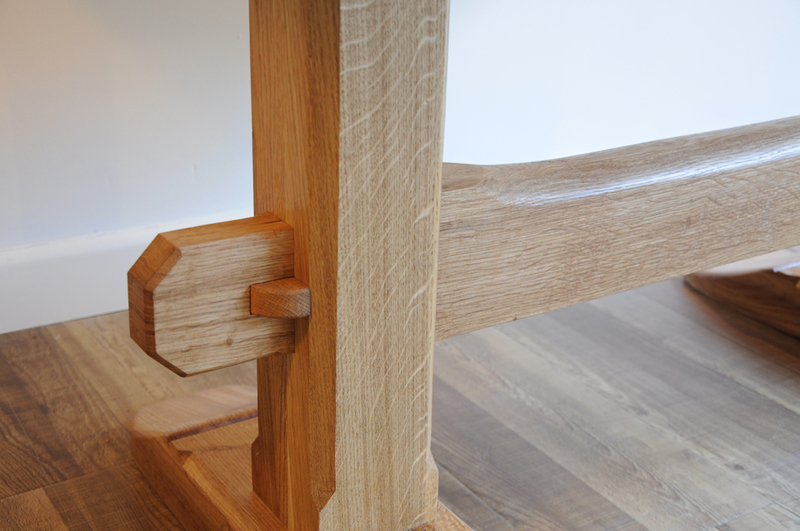 Constructed of Italian oak with traditional joinery throughout.